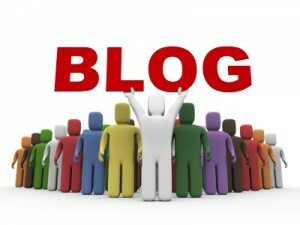 A selection of highlighted blog posts from Lean bloggers from the month of May, 2011. 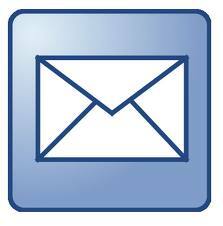 You can also view the previous monthly Lean Roundups here. 'Measuring" Kaizen Event Team Effectiveness: 7 Criteria – Mark Hamel describes 7 measurement criteria for Kaizen Teams to assess the success of an event. Respect People by Creating a Climate for Joy in Work – John Hunter says beyond eliminating bad practices though we need to provide a climate where people can flourish. No Such Thing as Non-Financial Metrics – Bill Waddell explains why measures are or why they should be financially based. The Waste of Unnecessary Communication – Kevin Meyer shares a story about the dangers of simplifying visuals in regards to reducing necessary information. 10 Things Osama Bin Laden has in Common with the 7 Wastes Lean – Pete Abilla in a creative post, discusses the 7 wastes in light of current events in the news. How "Waste" is Like Osama Bin Laden – Mark Graban also relates Lean thinking to Osama Bin Laden with 3 key points about waste. It's Easy Being Green – Tom Southworth shares some green strategies to improve your bottom line and the environment. Quality at the Source: Mistake Proofing Your Operations – Clint McCrystal describes several strategies that you can employ to ensure information is as accurate and error-proof. Lean Transformation Perceptions: What We See, What They See – Pete Abilla created an infographic on the misperceptions of Lean. Singletasking and the Lost Art of Effective Communication – Evan Durant talks about technology replacing communication and what you can do about it. Why Managers are Bottlenecks – Jeff Hajek writes about why the management approval process can impede flow in attempt to help your recognize this waste. Standard Problem Solving – Mark Rosenthal talks about why it is important to have a standard problem solving method. How to Calculate OEE? – Dragan Bosnjak gives a detailed explanation of Overeall Equipment Effectiveness (OEE) and how to calculate it. Lean Management Systems and Mysterious Performance Metrics – Mark Hamel shares several elements to create a metric profile to make a metric less of a mystery. What Can Lean Do for You? – Adam Zak describes the improved results you can obtain with a Lean transformation. Building Operational Excellence – Matt Wrye explains the important factors for any company that wants to achieve operational excellence. Forget the Annual Budget, "Let it Roll" – Jamie Flinchbaugh discusses the waste in traditional annual budget processes. Are You a Change Champ or Chump? – Liz Guthridge shares several strategies to improve communication during change within your organization. Transforming Tribal- Knowledge to Standard Process – Den Wilson explains three steps to capture that important but often difficult to extract knowledge gained from experience. On Management and Leadership – Glenn Whitfield explains the difference between managing an leading and why the role of managers needs to evolve. The Merciless Genba – Bryan Lund shares a story about empowering employees or not from the Genba. Nice curation Tim! Thanks for saving us the time of having to look around to find all these little gems of wisdom. I especially like the article on Why Managers Are Bottlenecks. I frequently referred to my former bosses as Decision Bottlenecks. Good post and thanks. Great list. Thanks for the inclusion! Thanks for including me with such an impressive group of lean thinkers!